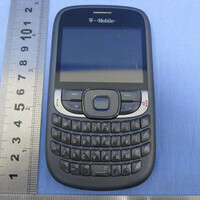 Chances are you don't remember the T-Mobile Aspect – a handset that the FCC approved last summer. That's because the device is nothing but a humble feature phone made by ZTE. It is one of those phones that a customer on a really tight budget might be interested in, or perhaps a kid that only needs a QWERTY handset to send text messages from. Still, there are a few handy features that the T-Mobile aspect has to offer. For starters, both a microSD card and a 3.5-millimeter headphone jack are present, so one can use it as a portable music player. There's also GPS on board, which doesn't necessarily mean that navigation functionality is available, and the Wi-Fi radio makes internet connectivity possible, although you probably won't be using it for anything more than sending an email or a tweet every once in a while. Further down the specs sheet we see a basic 2MP camera and a 1,000mAh removable battery. The 3G radio inside the phone can reach speeds only up to 3.6Mbps. And that's the T-Mobile Aspect for you. Its price isn't known, but chances are it will be a pretty budget-friendly handset, in case it ever goes on sale. Galaxy Note 3/S4/IPhone 6 and Lumia 940, beware of this bad boy. Monster phone of 2013, this is the one to beat. T-Mobile's Nokia X2 looks better but this gets the +1 for the inclusion of GPS which the X2 lacks. This thing makes me want to jump off the Manhattan Bridge: ugly and pathetic beyond words. This is the phone T-Mobile will give out [FOR FREE] to those who can't 'Bring their own phone' or afford the extra $20 a month to pay off a new phone on that scam called "Value Plan". This isn't even a BlackBerry; it's a bad imposter (although, being a BlackBerry is bad enough)! The GS3 killer for tmo. Hope tmo bring more awesome phones like this. @JcHnd lolz! This is 2013. The old days are gone. I guess since HTC didn't want to make a Dash 2 with Android, they went the ZTE / Symbian? route. I wish someone made a phone in this style form factor with WindowsPhone on it and a touch screen.